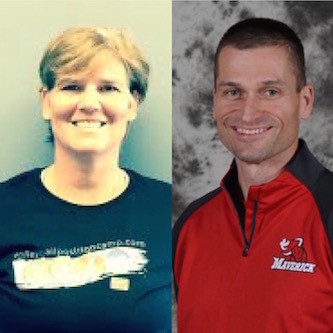 The 18u Broncos will be lead by Maverick new-comer but no novice to women's high performance coaching Linda Melnick; who has a very substantial volleyball resumé from player to coach to organizer. While over with the boys Mustangs, François St-Denis is coming off an incredible summer with both the Junior National Team and a Gold Medal NTCC head coaching performance with the 16U Team Ontartio Black squad! Linda Melnick is a new coaching addition to the Maverick Club however she is not new to coaching volleyball. Linda is a certified High Performance Coach – Indoor (NCCP L3), Coaching Evaluator and has been involved in both the OUA and USports (formerly CIS) in the roles of OUA sport convenor and CIS technical chair. As an athlete Coach Melnick played Club, Regional Team, Provincial Team (including playing in a Canada Games), was a key player for the York University women’s dynasty that won five Ontario Championships and CIAU (now USport) silver and bronze throughout her CIAU career. Linda naturally progressed to coaching working with athletes of all ages at the Club level and was the Head Coach for the University of Guelph Women’s team for 12 years prior to moving into the “front office” at the university. While Head Coach at Guelph, Coach Melnick was named OUA Coach of the Year twice and honour with the OUA Fox 40 Coaching award for all sports. Coach Melnick was involved in the Ontario Provincial Team program for many years and was named Head Coach of the Women's Team Ontario 2005 Canada Games Team. As an advocate for the not only the growth and development of the sport of volleyball, Coach Melnick believes strongly in the fostering the growth and development of the student-athlete in their pursuit of excellence both on and off the court. Professionally Linda is the Associate Director of Finance and Administration for Athletics and Recreation at Queen’s University and holds a Bachelor’s degree with a double major in Biology and Physical Education, Certificate in Sports Therapy, Masters in Organizational Leadership and is pursuing her PhD in Management – Organizational Leadership. Linda was also past President of the Ontario Volleyball Association leading the association through the 2011-2015 Strategic Plan were she served on the Board’s Executive. Our graduating athletes will greatly benefit from Linda’s coaching style and approach to the game as well as her vast knowledge of what the next level looks like from the perspective of former athlete, head coach and now an administrator at a post secondary institution. Welcome Linda! Frank St-Denis, a professional educator and certified Performance Coach-Indoor is entering his 14th season with the Club. Coach St-Denis is one of the most decorated coaches in the Club and province consistently winning medals at Provincials and Nationals at all age groups and developing athletes who are prepared for the challenges of "next level" training and competition. As a school coach, he heads the highly respected Sport-Études program and has won multiple OFSAA championships on both the girls and boys side of the ledger with E.s.p. Louis-Riel and E.s.c. L'Escale. He is also a proud father of two sons who both will represent Ontario this summer at the Canada Games in Winnipeg. Frank along with his wife Tammy have been a major influence in the development and creation of the Maverick Youth Beach Competitive Club, one of the first in Ontario. 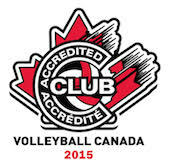 The club trains and competes on the OVA beach circuit. This past summer, Frank became the first Maverick to represent Canada at an FIVB World Championships where he was an assistant coach for our eighth place U21 Junior National Men's Team. Coach Frank is also a veteran Team Ontario coach serving as a Head Coach this summer for the 16U Team Ontario Boys that won the National Team Challenge Cup and has coached Team Ontario at the 2013 Canada Games. Frank's approach to coaching is one of responsible and logical analysis and application of skills and tactics. He is a lifelong learner and practitioner of his skill. Team cohesion and unity is a strength that coach St-Denis takes great pride in developing along with life skills regarding fitness and nutrition. Highly skilled in both video and statistical analysis, the Mustangs will have the full spectrum this season.